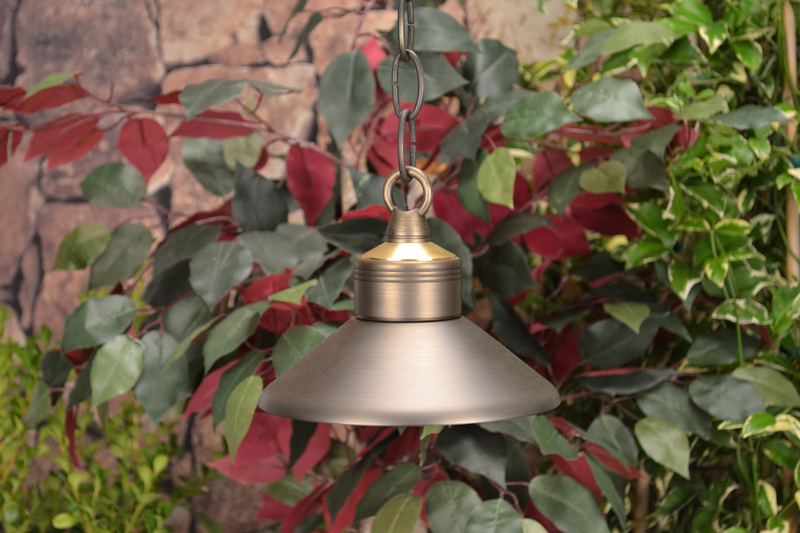 The Observer is a brass hanging fixture with 3 feet of chain that is ideal for trees, gazebos or other structures. Because the spread lens evenly displaces the light, the Observer is the perfect choice when you need a softly lit environment. Comes with complete set of optical designer lenses and hex louver.